Whether you love or hate Facebook, there is a pretty good chance that you have an account. 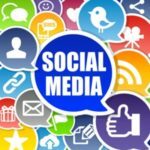 If you have been using Facebook for more than one year, then you have probably noticed how cluttered Facebook has become with one billion worldwide users logging on and posting content. The clutter on user’s Facebook News Feed can be frustrating for people who log on looking for a meaningful social media experience, only to be greeted by one irrelevant posts after another. 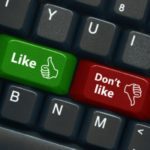 This clutter likely contributes to Facebook being so strongly disliked–and this may be one reason that Facebook does not include a “dislike” thumbs down icon. Despite all the clutter, Facebook still has the potential to be a great social media tool that will help you stay connected with the people and organizations that you like. To make your Facebook account enjoyable, you will need to invest a small amount of time into adjusting and personalizing your settings. Think of this as going on the offensive and taking back your Facebook News Feed. 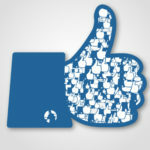 Here are a few suggestions that will help you to fall in “Like” with Facebook all over again. Some of your Facebook friends post valuable and interesting information; you will want to keep these friends’ post on your News Feed. Then there are the Facebook friends whose posts are pointless, tacky, or even downright offensive. Bumping these cheezemos from you Facebook experience will make your world a better place. Then you’re faced with a dilemma: you don’t want to unfriend them on Facebook because of the possibility that you’ll offend them in real life. You can remedy this social quandary by adjusting the Friends setting on their profile page. When you see a post that annoys you, and you know this person habitually posts mindless drivel like this, you can make the hurting stop by clicking on their profile page. From here you will click on the Friends box underneath their cover photo. A drop down menu will then appear; from this menu go ahead and click on Settings. By default, Facebook will show you most of the updates this friend makes. Clicking on Only Important will make so that you will only see their major post that have garnered a lot of comments. You can also filter what type of events from this friend Facebook will allow to your News Feed. By default, Facebook has all 7 different events selected; you can turn off as many of these events as you want to. Tweaking what type of events that you see will come in handy for a friend that post meaningful updates on your family, but cannot resist sharing pointless memes 10x a day. At one time you may have liked a company for maybe a promotional reason or whatever; there is nothing wrong with this. Whenever a company takes your “like” as a permission to litter your News Feed with ads, then you have every right to “unlike” this company in order to bump their ads off of your News Feed. If the company is halfway interested in good marketing, they will get your message and change their posting habits. With Facebook becoming more cluttered, it is important that you manage the content on your own company’s Facebook page in such a way that you are not driving away people with too much advertising. If you are looking for a good example of what to post on your company’s Facebook page, then we recommend that you check out and “Like” Quikteks’s Facebook page. 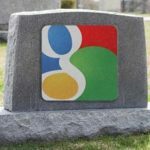 We try to balance our post with links to informative content from our blog (like this one), post interesting news updates, and throw in the occasional promotion. Facebook can even be a great way to interact with customers. Managing your Facebook Friends and Likes are two great ways to keep your News Feed full of only the content that you are interested in. This will make Facebook a more pleasant and productive place, while at the same time removing a lot of the frustration that comes from feeling like you are wasting your precious time. 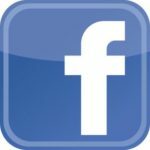 Do you have any additional tips and adjustments that you have discovered to improve your own Facebook experience? Share with us your suggestions in the comments.